I reviewed The Unfinished Child for Publishers Weekly, and you can read the full (very short) review online. Set in Edmonton, Alberta, the novel is a powerful meditation on the life and death of Carolyn Harrington, a girl with Down syndrome. Shea moves skillfully back and forth between what happened to Carolyn in the middle of the 20th century, and what happens to the friendship between two women, Marie and Elizabeth, more than fifty years later, when Marie becomes pregnant and learns that the baby has Down syndrome – just after Elizabeth has finally given up trying to have a baby. 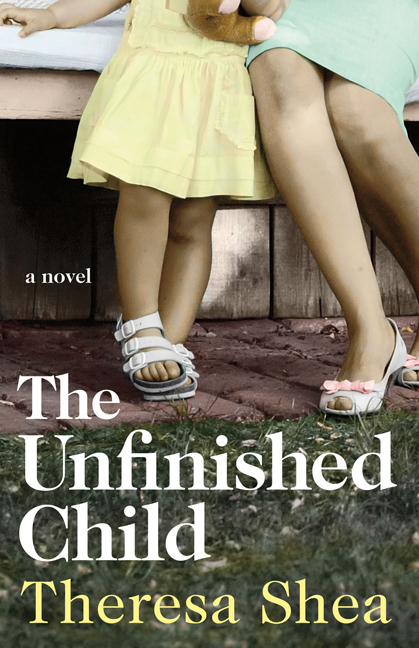 The Unfinished Child is a thoroughly-researched, thoughtful, deeply moving examination of pregnancy and infertility, friendship, and changes in the way people with Down syndrome have been treated over the past several decades. I recommend the book highly.